5 Decor Tips To Make Your Home Have A Scandinavian Vibe | Top Beauty Blog in the Philippines covering Makeup Reviews, Swatches, Skincare and More! There are many ways how to decorate your home. It can be classic, vintage, pop art or modern. But you can also get creative and make your home look like a real Scandinavian oasis wherever you are living! Norwegian, Swedish and Finnish decors are very nice to look at and not that hard to make for you home too! Want to bet? In this post you will find basic tips you can use to make your home look like a real Scandinavian home and also get some ideas how to afford that better. 1. NATURAL MATERIALS - Since Scandinavia is full of forest and nature, real Scandinavians like to bring that all into their home as well. So basically, if you want to have a home like that, you need to start decorating using real and natural materials. Various types of wood, organic materials like cotton or wool are great in creating a perfectly cozy and Scandinavian-inspired home. It also creates a very pleasing color palette for an eye as well. So it is a win-win in many different cases. 2. LESS IS MORE - Another tip a decor specialist from Norway can give you is to stick with less and avoid over-decorating. A few accent pieces are all that you might need, and it will create a sophisticated look as well. Less is more also works with colors. 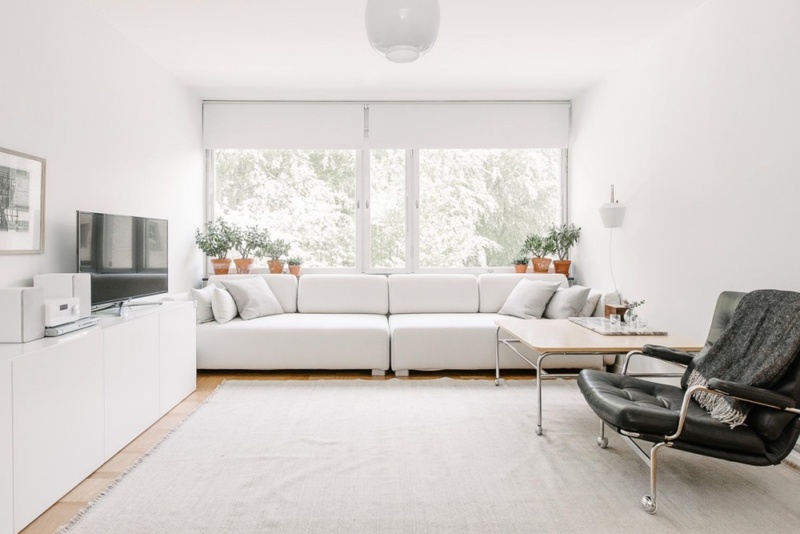 Scandinavian people tend to choose light or even white color pallets at home because there usually is the huge lack of sunlight during the bigger part of the year. By painting your home in light colors, just like Scandinavians, you will live in a brighter environment. And also you can use various colored decor elements for your mood and needs as much as you want without repainting the entire room. 3. CLEAN LINES AND GRAPHICS - Scandinavians are also famous for their ability to perfectly mix and match clean lines and decor pieces with graphic elements in it. It works pretty well since walls and floor usually are in very earthy tones and the room might get a little bit faded away if not equipped with stronger and sharper pieces. So furniture with clean lines and some graphic elements like stripes, dots and so on are just perfect in this case. It will create a visual interest in the room, and help liven it up as well. 4. ONE CENTRAL ELEMENT IN THE ROOM - It can be whatever you wish for. A bright red sofa, a huge bookshelf or a super amazing vintage mirror can be an incredible piece in your Scandinavian design. Relatively bright accents like furniture, accessories, and art, which are also near the color palette of your home, can enliven and energize a design pretty well. It also will also help create a more visual and appealing look. 5. BEAUTY, UNITY AND SIMPLICITY - Finally, while decorating your home you should always repeat the same mantra in your head – beauty, unity, and simplicity. It is the excellent sum of all that many Scandinavians try to achieve in their households. Get things that you think are beautiful, can easily marry other things in your home, but are simple and ordinary. It will work perfectly well and look well put together without much of your effort. Now that you are done redecorating your home, it’s time to have some fun! If you’re looking for an easy way to have some fun and relax without leaving your house, a great website to visit is https://www.genesiscasino.com/en-gb. It is basically an online casino where members can play games ranging from video slots to live games, and table games. Genesis Casino members can enjoy games from some of the best gaming providers in the industry such as NetEnt, Microgaming, Play’n GO, Nyx Interactive, Quickspin and Evolution Gaming. What’s great about this site is that it is available in several languages and can be played instantly or on the go so wherever you are in the globe, whatever your langage is – you are 100% going to have fun in this website. Hope you guys enjoyed reading this post and have a gear day!